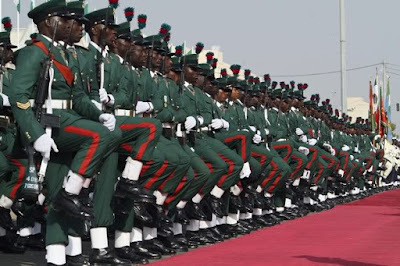 Brigadier General BA Ilori has been posted to Army Headquarters Department if Army Policy and Plans and appointed Deputy Director Equipment Procurement . Brigadier General AA Adereti,posted to National Defence College and appointed Directing Staff while Colonel O Nwachukwu from Headquarters Theatre Command Operation Lafiya Dole has been posted to Defence Headquarters and appointed Acting Director Defence Information. .
Others affected by the new development include, Colonel OG Olaniyi who was posted from Nigerian Army School of Music to Nigerian Army Band Corps and appointed Acting Director Army Band,Colonel EI Okoro and Colonel I P Bindul are posted to Army War College Nigeria as Directing Staff amongst others.